Well now I've finally seen the movie, I think its great and I thought the gameplay ties in pretty good with the filmed segments. Whenever things needed explaining, some text would appear. Very cool! Can't remember if it was like this in the game, but was Vaquero supposed to die when going after Hobbes. Cobra dies, Blair goes after Hobbes, then immediately after Vaquero dies. And no burial scenes??? Slightly confused! I seemed to remember the burials whenever someone died... It would have made that part of the movie a little better IMHO. Queeg, I would like to know, what exactly is Vista supposed to do better with the editing aspect. If you're willing to go back to the project once more, I suppose it's a lot... But I'm happy with the version as it is now, just so you know. Well, it has been nearly a year but I'm ready to put this project to rest. The movie is finished completely. The changes this time aren't quite as dramatic as between the first two versions. - Video converted to standard 16:9 widescreen (without distorting the picture). This to allow better compatibility and so the movie isn't too letterboxed. - Missions re-edited and some removed, most missions shorter to keep the pace. New background music in important missions and subtitles size decreased. There's a few other subtle changes but thats all. It's basically just a fixed up version of the second film but it does flow better. Well I hope people enjoy the film, oh and Darkelf I took into account your ideas, thank you , and thank you to everyone here who gave me feedback on the other films. I've thoroughly enjoyed working on this project and can't wait to see the other movies that are in the making. Well there we go, project complete. Great! Will there also be a DVD ISO image like with version 2? Maybe, if I can find somewhere to put it. By making it to match the ratio of the video clips, I see you've cut down the height of the flight sequences. It looks like you got rid of the cockpits and put on invisible huds too. I'd probably still call that distorting. People have been really into this lately, but I think it's just fine leaving black bars where they'd normally be. The quality and such looks pretty good on this version though. What are the other files in the torrent? Are they the outtakes and trailer we have at the CIC or scenes you cut out of (and a trailer for) your project? Have we posted something about your music video before? That sounds new to me. Nope just some scenes that weren't used in the film, everything in the torrent are my own video rips. The trailer is the same one posted here before. However, the music video was only posted on youtube, so I guess thats new to here. The height of the clips has been increased but somehow some of the flight scenes look squashed. It looks like they've all be cropped. The upper portions of the weapons VDUs are all gone. Oh right, yes they've been cropped from the original fullscreen clips. I meant that they had more height than the 2nd movie. In the 2nd film about 35% of the spaceflight clips height was removed to give the illusion of widescreen, now it's only 20% cut out, thats what I meant by increased height. Sorry about that, I wasn't thinking of the original. Question for you Queeg (or anyone else who knows the answer): You mentioned earlier that the video quality improved when you pulled the videos from the PSX version of the game. Are the quality of the PSX video superior to that found in the original PC version of the game? (Similar to the quality improvement seen between the PC version of WC4 and the DVD version, although I understand the PSX videos wouldn't match the WC4 DVD quality.) Or was this improvement just a matter of the process you used to capture/rip the PSX cinematics? And how did you capture/rip the PSX cinematics? Did you just use a video capture card or were you actually able to rip the movies from the PSX disc? EDIT: Okay, apparently I'm blind. I see you answered the question of how you ripped the PSX movies above. Do you still have your original high-quality capture files and would you be willing to share them? They aren't higher resolution or anything, but origin went back and re-compressed all the videos for the 3DO version. The result was that even though the codec was almost the same you had cleaner picture, better color definition. Basically it was two years worth of evolution in compression technology. So when they needed videos for the PSX port they also used the recompression done for the 3DO version. PS: btw, whatever the book says, it doesnt have to be that way otherwise why those option were in the game? Queeq you have done a great job on all three versions. It makes me wonder if I should bother with a cut of my own now. I was shocked you made some changes in your two versions (not schooling Flash; Blair not getting drunk; Blair losing the first mission; etc..) I haven't had enough time to watch the movies all the way through -- but I played WC3 so many times that I have the plotline memorized from the game. Again Queeq, great job man. If I did a version, however, my cut would be kind of like this. - Some of the "choice" scenes can be easily mixed together. Like Blair challenging Vagabond about his "record," but then trying to ease the tension by giving the "HQ is as mysterious as the enemy" -- in that case it works. With Vagabond it seems like you need to challenge him a little bit, and then you both earn respect. - Palidian offers Blair to hit him. Palidian thinks he won't turns away, Blair busts him one. - Blair needs to soft touch and hard sell Vagabond's release to the Captain. - Blair grounds Flint, but later is challenged by her when he gets drunk. A few edits with the footage, Blair backs down from Flint and admits she's right. -Blair ejects during said mission - which includes Eisen screaming "DO YOU THINK I GOT ELVES BUILDING SHIPS!?!?!?!?" - Blair schools Flash over and over again. - When Blair first meets Flint -- I'd either "go with my gut" on her; or ask her for suggestions and then blast her with the "go with my gut" line in a edit. - Rachel might be "cannon," but I was in love with Flint as a teenager. Flint gets picked, Blair just goes his own weapon specs. Then either Flint surives and flies home with Blair; or is killed over Kilrah. - Blair goes after Hobbes, but in my version -- he finds him part of a patrol outside the astroid field before the Kilrah jumppoint. Editing the early speeches of Hobbes -- Blair and Hobbs dogfight solo. Blair then challenges Thrackath cloaked before taking him out. Leaving Veqetto to be blown out at Kilrah instead of earlier. May never do a version. - I would take Flash challange and bit his royal $%& He is a good kid and good pilot so I would need him in future missions. The major choices in the book were pretty much what Origin followed when continuing on to make Wing Commander 4 (or rather, the book was edited to fall in line with the direction that WC4 was to go). I'd guess Queeg weighed that with his own editorial decisions. Okay, apparently I'm blind. I see you answered the question of how you ripped the PSX movies above. Do you still have your original high-quality capture files and would you be willing to share them? I still have all the high quality source xvid videos, if someone wanted a particular clip I might be able to send them to others. Thank you for clearing that up, thats a very interesting fact. I thought they used entirely different compresson. Does this mean the 3DO version still has better video quality or are they the same? I considered adding a pod search mission for flint but I'm not sure that Blair would have the time considering he was on his way to destroy Kilrah. Also I thought it might slow the pace of the film down. I would love to do a WC4 film, however, I do not have a copy of the DVD WC4 set. Also there are several people working on films for this already. Thank you for your input though, glad you liked the movie . - Following on from your second post. A complete winning streak sounds a little predictable, but he is supposed to be an Ace pilot so it could work. - In the original film I didn't know there was a book so I kept flash in for the whole game (although I think he died on the Kilrah run). If I had followed the book more closely then Flash would become a pilot on the victory but dies later on. Keeping him on is an option but another characters role would have to be compromised to keep the film under 2 hours. - Indeed I'm aware that you can kill thrakath in the 90 seconds before the victory jumps after behemoth. (I managed it on rookie setting with some lucky missile hits) That would of made a great plot twist if he kills thrakath and then doesn't go after hobbes. Vaquero doesn't die and then the big battle at the end is between him and hobbes. Only thing with that is Hobbes can tell everyone about the temblor bomb, even though you can still complete the game after letting hobbes go I think thats only because they didn't have room for another ending etc. - I actually planned him to choose Flint and then after her death on the final mission it would explain why Blair is alone in WC4. I only changed it because of the book, maybe I should of just gone with the choices I would of made. Ah well. I did think about making a movie about Wing Commander V - Prophecy, but the actors are so damn annoying and I didn't even complete the game. Well I guess I'm a bit lost on what to do for another project then. the book say something but Fans could think (some supporting one plotline, while some supporteing others) different and that is why there were different plotlines in the game, otherwise would be lineal. Yeah, you've said that a couple times now, so I'm not sure what point you're trying to make here. Of course anyone could play the game how they want, but there is also an official sequence of events that sets the scene for Wing Commander 4. On a side note, Price of Freedom with Vagabong & Maniac alive confirms that not all in the book of Heart of the Tiger was what origin expected. Desperately, Vagabond tried to dodge, but the controls were sluggish. He broke comm silence. "I can't shake him! I'm going up." And just before the Darket fired again, he managed to add a final plea. "Don't give up, Colonel. You've got to take them down . . . for all of us who didn't make it!" He slammed the switch to trigger his ejection system, praying he wasn't already too late. And then his fighter was gone, too, an expanding cloud of flame and smoke and whirling debris. Blair thought he caught a glimpse of the Excalibur's escape pod boosting clear of the explosion, straining to reach orbital velocity but he wasn't sure. And even if Maniac had somehow managed to survive that blast, he wouldn't be playing any further part in this battle. Both Maniac and Vagabond ejected and survived. I can probably dig up quotes for you later that detail the events that explain how they were picked up. @from Queeg: "- I actually planned him to choose Flint and then after her death on the final mission it would explain why Blair is alone in WC4. I only changed it because of the book, maybe I should of just gone with the choices I would of made. Ah well." Well, on my version after I ending the game I flew with Flint home. Yes, she doesnt appear in WCIV and there were no place in there they told she was dead. That comes from the book. Again, as I said: Forstchen (the one writer that work in both books) always caracterize himself to make some drastic change for what was shown in the game plotlines to increase the story tension and to add more content to it. So yes you could go by the novel and your could go your own way (that is why you have multiple plotlines in WCIII & WCIV) And again, yes, after the novel from WCIII some adjustment were required especially in the plotlines for WCIV. That doesnt mean it was sentiment from every the player. It was just what the writer chose to do. @from ChrisReid: "No it doesn't. Origin made sure the following edits were made so that there wouldn't be a problem"
"Flint, Winston "Vagabond" Chang and Maniac, the only living Gold Squadron pilots at this point in the novel, fly with him to Kilrah. 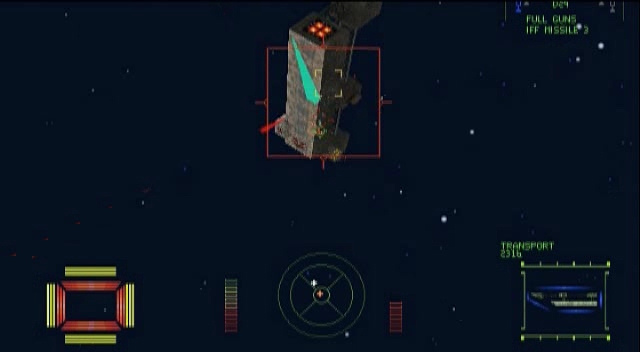 Vagabond is shot down on the second leg of the journey (though he survives through unspecified means to return in Wing Commander IV: The Price of Freedom), Flint is killed in space above Kilrah, and Maniac is shot down in the planet's atmosphere, though Maverick is desecribed as catches a glimpse of what might be an ejection seat (Marshall also returns in WC4)"
Fortunately, Forstchen didn't just run off and write a crazy story on his own. He worked with Origin to write the novels. His book was changed to match what Origin wanted to do with Wing Commander 4, not the other way around. That appears to be accurate, but Wikipedia is not always a reliable source if you're trying to find the official backstory. 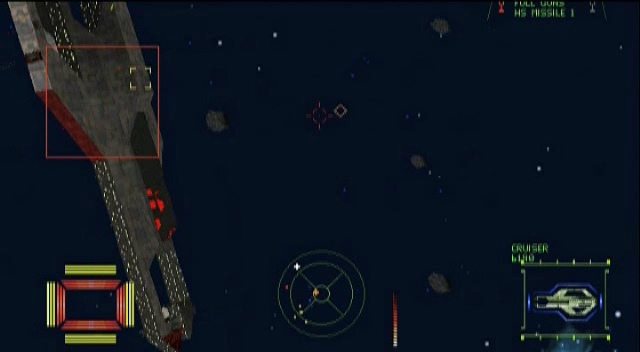 There are errors throughout the Wing Commander entries.